Most Excellent Adventure – Part Two. After a couple of days exploring San Francisco, we decided to explore further north. Unfortunately, the next few days were predicted to be hot – 110F 38C – in the internal valley so we changed our plans. No lollygagging about in the Napa valley. Instead we headed to the coast, up to Fort Bragg. 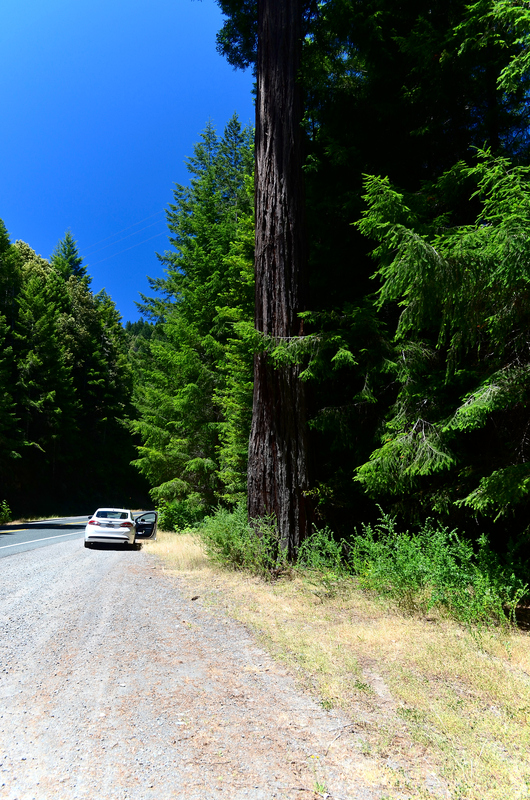 It’s a bit of a drive, up the 101 and then over on the 20, but we could stop in Jackson State Forest and explore the redwoods. We stopped at a rest area for lunch where there were logging artefacts and some of the worst pit toilets that I’ve seen. The redwoods that have regrown form circles about the one that was removed. Many of the trees that return aren’t redwoods, but douglas firs, so we’ve done a great deal of damage. 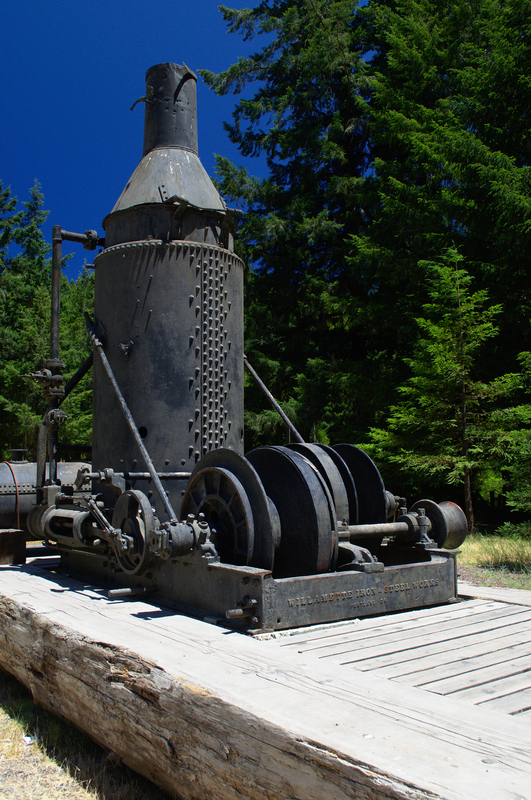 A logging steam engines from the 1920’s. Camp One is a right turn, most of the way to Fort Bragg. 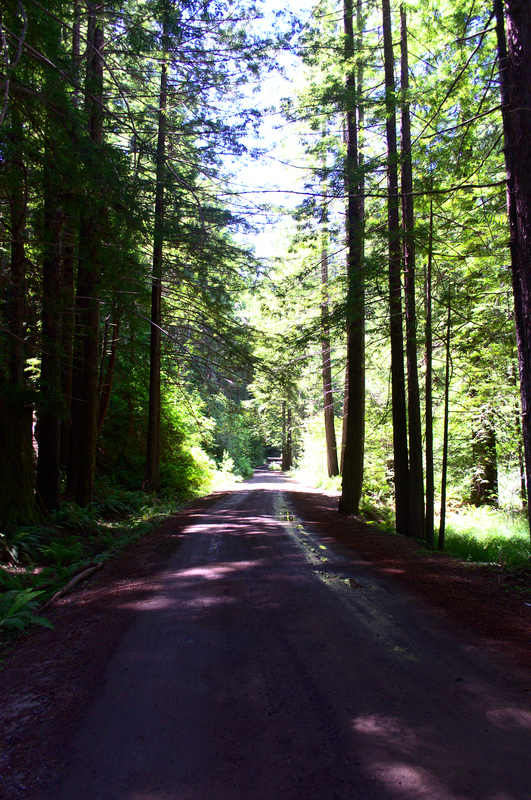 You follow a winding dirt road back to a parking lot. There’s a short (1 mile) and long (3 miles) loop up the valley. We took the longer loop to stretch our legs. It’s a bit of a climb on freshly cut trails, but well worth it. 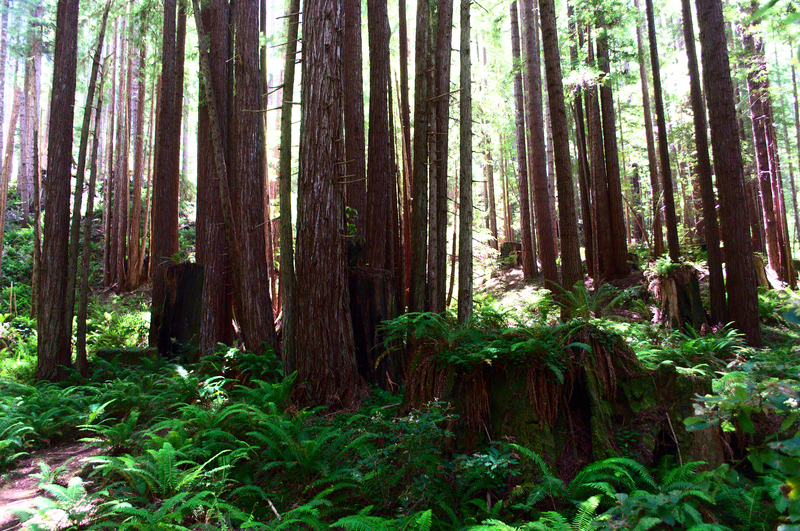 The header image shows one of the redwood stumps from this walk. Fort Bragg is nothing much to speak of. We stayed at the Hotel 6, which had the dual advantage of being the least expensive motel and an open room. It was a choice between eating at a glorified fast food place or going for a walk. 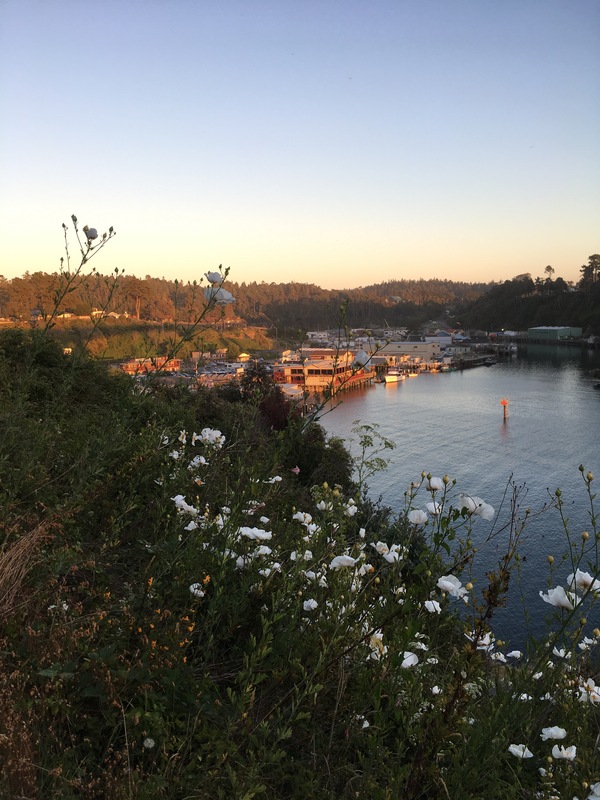 We, of course, chose the walk and found Fort Bragg harbor to the south. Live music echoed up and we made our way to “Django’s Rough Bar” for some excellent sea food, live jazz, and good beer. It’s named for Django Reinhart, the two fingered guitar maestro and the rough bar at the harbor mouth. The next day we’d head down route 1, stopping along the way at the Jug Handle State Nature Preserve and Point Cabrillo. But more on that later. 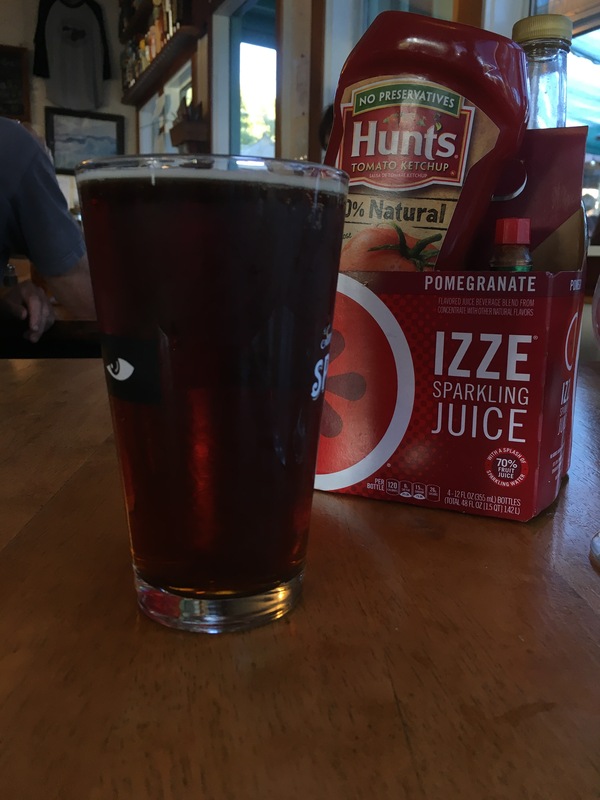 Next Next post: Most Excellent Adventure – Part Three, Point Reyes.